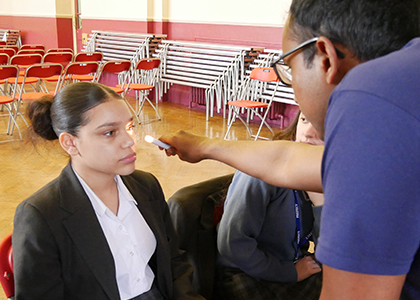 Year 10 recently attended a Paramedicine event organised by St George’s Medical School. This gave the students the opportunity to learn about everyday situations that paramedics encounter. 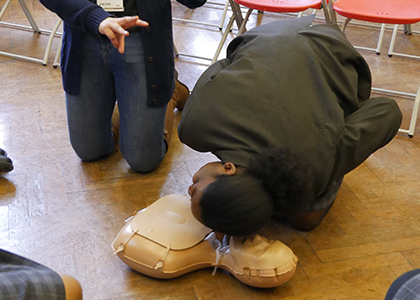 In a series of workshops, the trainers presented a variety of scenarios they are commonly called to assist with and taught those present how to assess and then deal with each scenario as well as how to give basic First Aid. 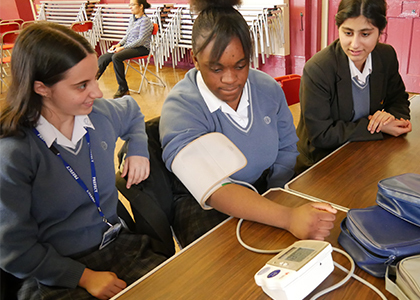 Students were able to interact with various pieces of equipment including machines to take blood pressure, measure pulse and test responsiveness to light. 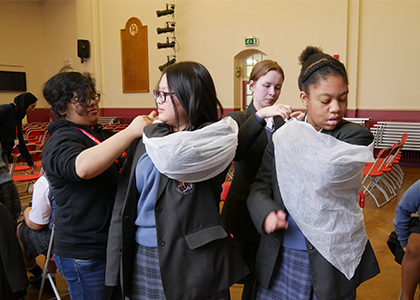 They also learnt how to bandage a damaged arm and deliver CPR. A very big thank you to the St George's paramedics for delivering such an interesting and practical session.